A bad catalytic converter can wreak havoc with your car or truck. The symptoms of a bad catalytic converter can be hard to pin point, as they are similar to many other common engine problems. Most of the time a clogged catalytic converter will need to be replaced, but sometimes you might be able to extend its life temporarily by cleaning it using a special catalytic converter cleaner. How Do You Diagnose A Bad Catalytic Converter? How To Clean A Bad Catalytic Converter? The Catalytic Converter (also known as CAT) is a very important component of the exhaust emissions system. It's job is to reduce the Hydrocarbons (HC), Carbon Monoxide (CO) and Nitrogen Oxides (NOx) emissions to a minimum by means of starting an oxidation chemical process. Modern catalytic converters are designed to last around 10 years or around 100,000 miles or more if the vehicle receives the appropriate maintenance. However, if the engine isn't running properly under certain conditions (like rich air/fuel mixture or deficient ignition system) its longevity can be greatly reduced. Externally, the catalytic converter looks like a standard muffler but its internal construction is quite different. For starters, the CAT is made from very expensive materials. Externally it has a stainless body and internally its honeycombs are made of aluminum oxide, cerium oxide, platinum, palladium, and rhodium. The chemical process (catalysis) occurs when the HC, CO, and NOx gases enter the converter. The ceramic-coated honeycomb panels are designed to work at high temperatures (400°C or more) creating the optimal conditions for the oxidation-reduction process. Nitrogen oxides are reduced to nitrogen, carbon dioxide (CO2) and water vapor, while the carbon monoxide is oxidated to carbon dioxide. The hydrocarbon particles present in the exhaust are oxidated to carbon dioxide and water. The resultant CO2, nitrogen and water are safely emmited out through the exhaust and are not considered pollutants. ​Due to its crucial role in the exhaust process, a faulty catalytic converter will cause the CEL to light after driving a short distance. Even when this component is not a sensor or an actuator, modern vehicles have several data trouble codes directly related to the CAT. 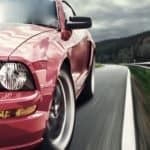 ​A bad catalytic converter will essentially block the exhaust gases coming from the engine and this could produce misfires that reduce the overall engine performance. A deteriorated CAT may cause engine misfires that in turn will affect the vehicle power. A bad catalytic converter will increase all emissions which could be a problem if you live in an area with smog checks. It could also cause your car to fail emissions testing. Under certain circumstances, clogged catalytic converter symptoms could be similar to those of a plugged muffler/exhaust. If the ceramic coating reaches the point of melting this could obstruct the normal flow of exhaust gases causing an overheat condition (in extreme cases the converter could glow red as a consequence of the high temperatures). The failure to burn the remaining HC from the exhaust could cause fuel vapor to reach the tailpipe. The hydrocarbon particles are also responsible for degrading the internal catalytic converter panels, producing the characteristic “rotten eggs” smell. > Catalytic Converter inspection: perform a meticulous visual inspection of the catalytic converter. Any sign of exhaust leaks, overheating or excessive corrosion may be an indication of replacement. > Exhaust pipe inspection: similar than before, perform an exhaustive visual inspection of catalytic converter inlet and outlet pipes. Any exhaust leak should be corrected before going any further. IMPORTANT: depending on the year and maker of your vehicle catalytic converter temperature tests may be inaccurate. This is especially true in late models with ultra-efficient combustion and low HC output. Always refer to OEM literature for official diagnostic procedures. > Catalytic Converter functional test: using an infrared thermometer you could quickly have an idea of the catalytic converter condition. A converter in good shape should have a higher inlet temperature than its outlet temperature when the engine is running at 2000 RPM. The closer the temperatures the higher the possibility of a bad catalytic converter. IMPORTANT: the following test assumes that your oxygen sensors are working as intended and that you only have catalytic converter related DTCs. > Catalytic Converter condition test: using a professional scan tool can save you a lot of time regarding CAT diagnostics. Lock on your display upstream oxygen sensor (pre-converter sensor) and downstream oxygen sensor (post-converter sensor). Start your engine and allow it to reach its normal temperature. Watch the upstream and downstream values. The upstream O2 sensor should be constantly changing between a rich/lean condition but the downstream O2 should be more stable with a tendency to a lean mixture. If both readings are too similar you can assert that the CAT is faulty. On “V” type engine you may need to repeat this procedure for each engine bank. It's also common for the ECU to store a P0420 error code when the catalytic converter is blocked. 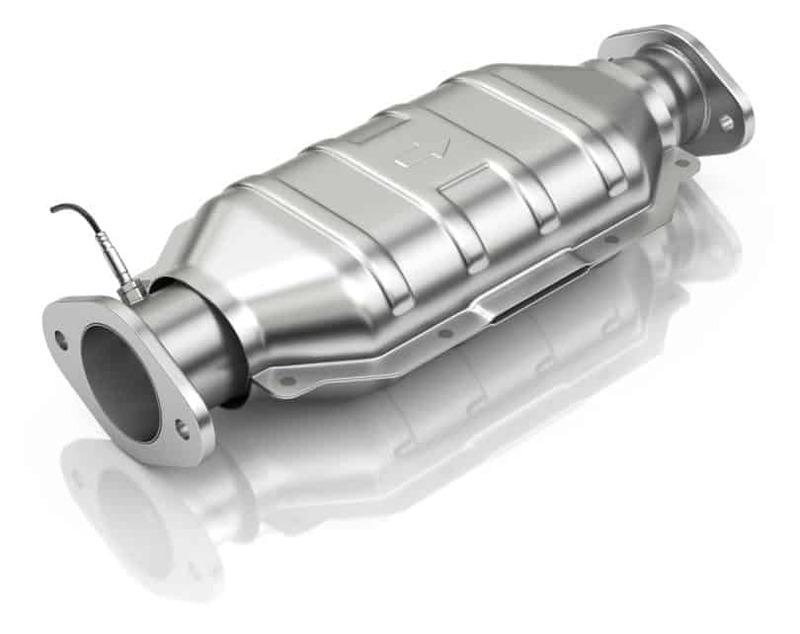 There are two ways of cleaning your catalytic converter, removing it from the vehicle or using a special CAT cleaner additive. This is the more difficult way of dealing with any Catalytic Converter problems. Depending on your vehicle, removing the catalytic converter could be as trivial as removing some bolts or as difficult as cutting the exhaust pipe. Once the CAT is removed you can proceed to clean it using carburettor cleaner, detergent, or special cleaning products. Reinstall the converter when done. Welding or new brackets may be needed to finish the job. Here's a short video showing you how to clean a catalytic converter using lacquer thinner. An easier way to clean the catalytic converter consists of using a special additive in the fuel tank. Drive your vehicle until the fuel tank is at ¼. Read your product directions and use the recommended amount of additive. Continue driving as normal until the tank is almost empty. Refill your tank and test the vehicle. Most of the time this method works if your catalytic converter only needs maintenance.